Alrighty, I KNOW that there are lots of you who were given books or, like me, received a Chapters card (which is about my favoritest gift ever) and went straight away book shopping. So, what did everyone get for books, or will be getting? I am pretty sure there are more Philippa Gregory books in my future, she writes about the Tudor era which captivates me. And of course the rest of my Twilight books as well. I read them all over the holidays lol. The book below is something I am completely excited about, I LOVE the Kelley Armstrong books and now she is writing about the men from all her books, due this spring. Not only are they probably going to be awesome ( because once you are hooked into her created "otherworld", you are sunk) all her profits from this anthology are going to be given to World Literacy of Canada. I wasn't surprised to see that their overseas work starts with the women of the community for literacy, it makes sense that someone who features strong women as her leads in books would chose to endorse them. I got the four Twilight books, 2 James Rollins books that I haven't read yet, and 2 books on the Dominican for my upcoming trip. My Mom also called me to say she forgot to give me a book on ancient Turkish history, so I'm counting that as a gift since it's so close to the holidays, lol. Dammit, I was going to surprise you with Men of the Otherworld for your bday! Hmph. I got Personal Demon too (it was okay, but I think for future Kelley Armstrong I will wait for paperback for purchases or requests), Joseph Boyden's Three Day Road, Wally Lamb's The Hour I First Believed, Life of Pi, Toni Morrison's A Mercy and The Alchemist. I used gift cards to buy myself Tales of Beedle the Bard and The Last Report on the Miracles at Little No Horse. I also debated about buying One Native Life by Joseph Wanagamese, after hearing a CBC interview with him so I am going to check that one out of the library. Amanda, I can ACT surprised, DAMMIT! LOL. I waited for the Personal Demon paperback cause I am so cheap. Cori, you will love the books, we have identical tastes (ok, except your one aberration with loving Firefly.) AND speaking of being cheap, her books are almost always at the Wee Book Inns! 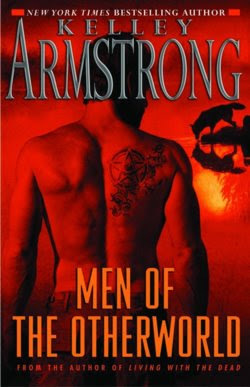 I have all the women at work trading my Armstrong books back and forth, they are addicted to them. I finished 'The Other Queen' a few weeks ago-it was really good! 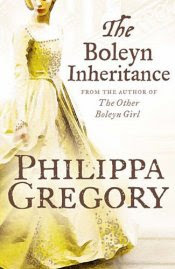 I think I've gone through just about all of the Phillipa Gregory books about the Tudor era, time to get into her other ones I guess. I am pleasantly surprised that the local library has a good selection of Kelly Armstrong books, so I'm going to get working on more of those ones. I've read bitten and Stolen, but the other ones look really good too. I didn't get any books or bookstore g/cs for Christmas this year!!! First time in a while! Did you know that Kelly Armstrong is Canadian as well? I got 2 chapters gc. so far i only spent one and got Tuesdays with Morrie by Mitch Albom, Atlas Shrugged by Ayn Rand, Ham on Rye by Charles Bukowski, and Water for Elephants by Sara Gruen. They were all books on my want to read list. 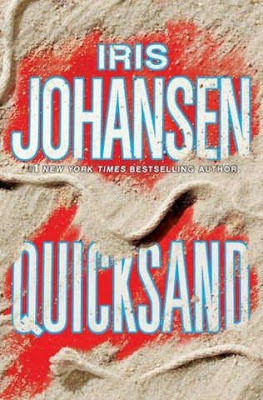 I will probably go to the store with my other one and see what catches my fancy, I saw one when i was browsing but can't remember the name of it, and the shack also looks like it will be a good read - maybe a bit intense, but good nonetheless. I'm an idiot. I didn't get Personal Demon for xmas, I got Living With the Dead, the newest one. I read Personal Demon from EPL, like Charlynn suggested. I'll lend Living with the Dead to you, K.
I tried to read Phillipa Gregory and it was okay, but it made me fall asleep, for real. I just could not stay awake. B, I keep picking up the shack, then putting it back, EVERYTIME I look at books! I just don't know, I just can't commit lol! And some of the books I have read on the Tudors would make a historian fall asleep, I am just enthralled with the era tho. Wahoo for Living With the Dead to read! I totally forgot - I got a comic gift cert and bought some more of The Walking Dead graphic novels that I obsess over so much. I also got the kids a few books that I plan to eventually read (Beetle Bard, 39 Clues, Uncle John's Bathroom Reader, Bedtime Stories movie novella). Was hoping DD10 was going to buy the Inkspell series with her gift card, but she got crud that I won't read, sigh.